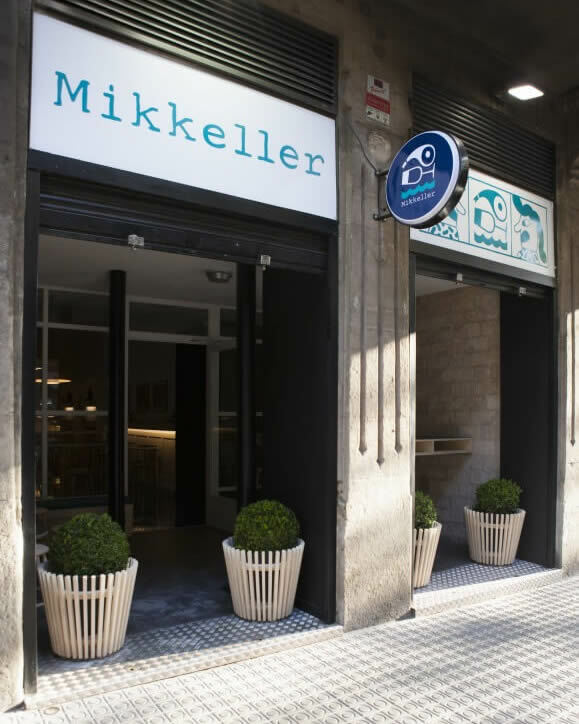 Mikkeller‘s arrival in the Catalan capital caused a predictable stir late last year, the Danish microbrewery have achieved somewhat of a rock star-status among the international craft beer community, and each new opening — habitually accompanied by a heavy helping of Scandi-cool — is eagerly anticipated. 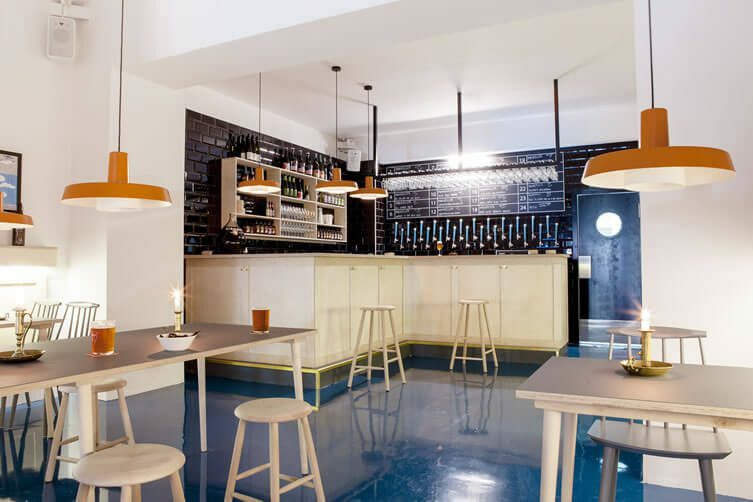 Going off like a well-shook bottle of one of their trademark eccentric brews, Mikkeller have rapidly added a series of bars around the world — from Bangkok to San Francisco — since their Copenhagen debut at the beginning of this decade; beer bods keen to get their fix of oddities like Spontanpeach and 1000 IPA, as well as selections from pals To Øl, Omnipollo or Warpigs. 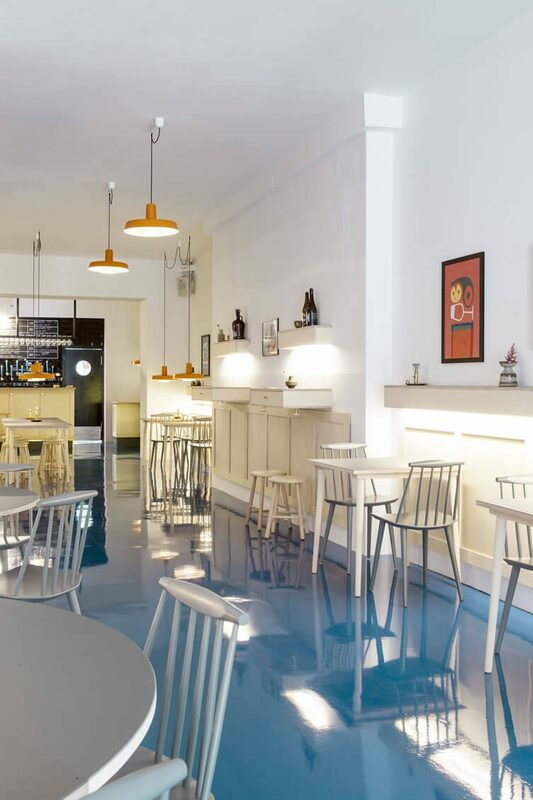 Barcelona — in the midst of its own craft beer revolution — is no different, and the historic city welcomes the Danes to its L’Eixample with open arms — where 24 taps, with fresh stock shipped directly from the Mikkeller brewery, keep ardent fans hydrated in a cool space dominated by a bold orange and blue palette in what is the brand’s first European outing outside their home country. 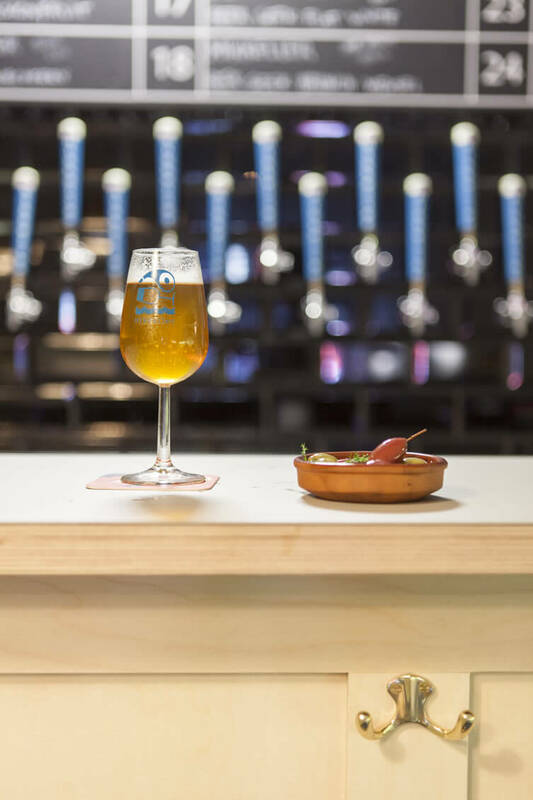 A menu, inspired by rustic Catalan cooking, should assist in keeping some of the more audacious brews from going to your head. Kitchen, and bar, are open till midnight every night.